Twenty lenses of five different types. Sizes and lens types will vary. 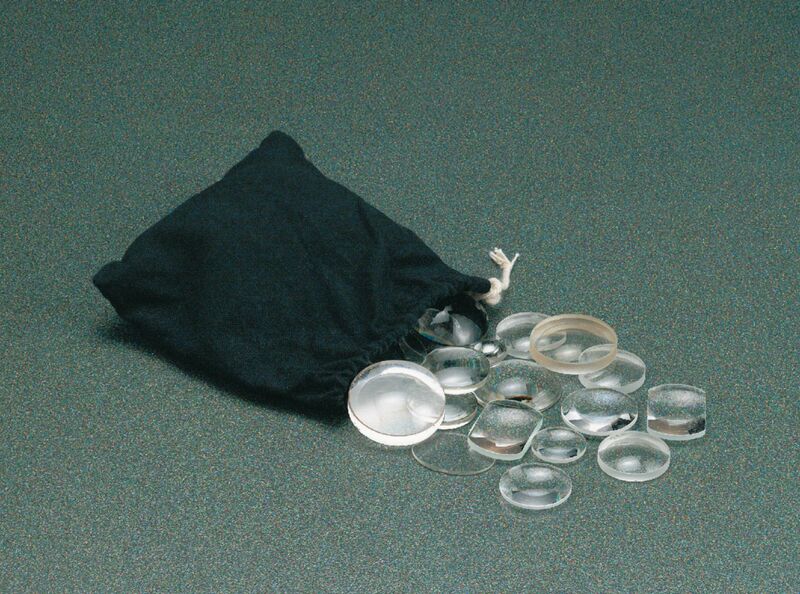 Lenses may have chips or cracks but are generally in good to very good condition. Come in a cloth sack.